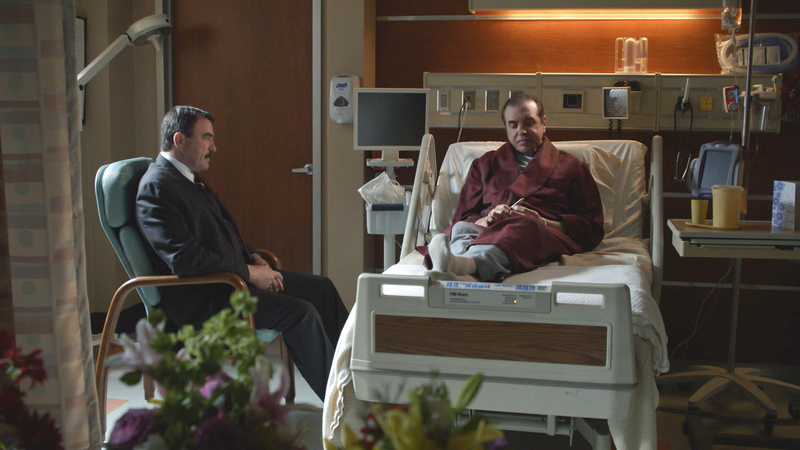 Following Frank’s dinner with mob lawyer Angelo Gallo, Gallo is shot, and Frank narrowly escapes with his own life. Meanwhile, Danny is called for jury duty, and winds up being the sole dissenting opinion in a murder trial, on BLUE BLOODS. Pictured: Chazz Palminteri guest stars as the mob lawyer. Tom Selleck as Frank Reagan.